In part one of our post, we introduced No.1 California Lager – the inaugural brew of our new Zymaster™ Series. In this second part, we take a closer look at how lager beer came to be brewed in California and the breweries that led the way. “The meaning of the word lager in German,” as San Francisco’s Daily Alta California defined it in 1867, “is ‘rest,’ ‘repose,’ and gives character to the article.” Lager beers are made with lager yeast, a bottom-fermenting yeast, which thrives at very cold temperatures. With the first European lagers, the beer was stored (“lagered”) in chilly alpine caves, sometimes for several months or more after brewing. During the present year a formidable outside rival has sprung up in the Second District of Truckee, from which is supplied the suddenly popular beverage styled BOCA BEER. This establishment is conducted on the system of the Eastern lager-beer breweries, and is provided with extensive ice-banked vaults, for producing the effect of slow fermentation. It wasn’t long before the quality and popularity of Boca’s golden elixir spurred competition, prompting investment in ice-making equipment and mechanical refrigeration by some of the San Francisco Bay Area’s bigger breweries. The California lager revolution had begun. Boca,—a telegraph station, is 267 miles from San Francisco, with a population of about 150. It is at the mouth of the Little Truckee River, and is the Spanish name for ‘mouth.’ The only business is that of the Boca Lumber Mill and Ice Company, and the Boca Brewery, the latter the largest [San Francisco’s Philadelphia Brewery was by far the largest in those days] on the Pacific Coast, and on account of the equable temperature, expected to produce the best lager beer in the world. About 8,000 tons of ice are cut yearly from the pond. The cold is sometimes severely felt, the mercury standing at 22º below zero during the winter of 1875-6. The Boca Brewing Co. has an immense brewery at Boca, California, built of brick and wood, with great vaults and tanks for the storage of its lager beer…. The company started its brewery in 1875, making a specialty of the brewing of lager beer, which was of so excellent a quality as to make it a favorite with beer drinkers, and has since created a demand for it not only throughout the Pacific Coast, but in other countries, particularly in Mexico, Central and South America, and the Hawaiian Islands, China, and Japan. To the resident of any of the Pacific States or towns, Boca is as well-known as their own names. Twenty-five to thirty thousand barrels of beer go from here annually to be consumed throughout the length and breadth of the United States. The two great desideratums for the manufacture of superior beer, exist in Boca and are procured at trifling expense. Pure spring water comes from the mountain tops in abundant supply and furnish the staple and necessary article in absolute purity, the winter season produces, and is gathered at trifling expense, the second positive requirement for successful brewing. Ice in its magnificence and without limit to quantity is here, and the Brewery Company have provided amply for its gathering and storing…. and at an actual cost of about thirty cents a ton. Think of this ye sweltering mortals who roast in cities and pay nearly as much per pound for the cooling luxury. California barley and hops gained recognition when it was revealed that they were the ingredients of a New York brewer’s winning entries at the 1867 Paris Exposition. Chevalier barley, the preeminent two-row malting barley in 19th–century California, was first introduced to British agriculture in the 1820s by the Rev. John Chevallier [sic], M.D. (1774–1846). 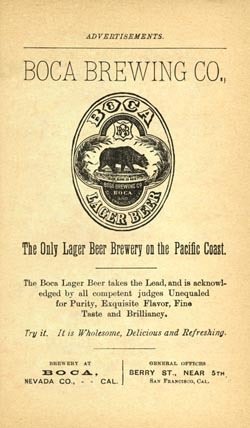 In addition to California barley, Boca Brewing used California-grown hops, which, by 1880, had become widely accepted by California brewers. And “the quintessentially American hop,” as the Oxford Companion to Beer calls it, was Cluster, whose origin was likely a cross between an English variety and an American male hop. 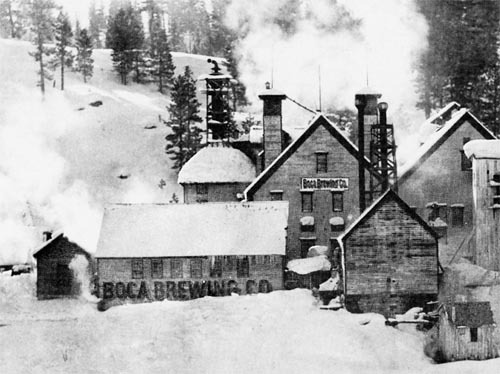 Boca Brewing Company (First Brewers of Lager Beer in California), Boca. — The first lager beer made in California was that produced by this company in 1875, the year of its organization. This town is located in the Sierra Nevada Mountains, fifty-five hundred feet above the level of the sea. 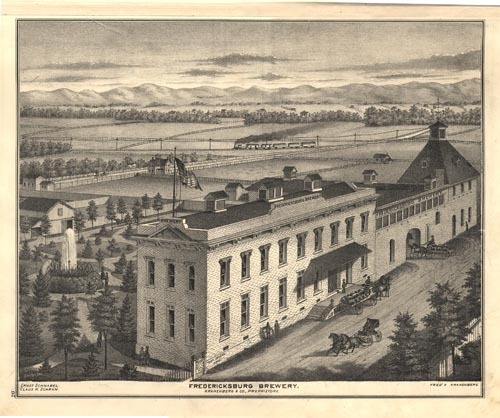 This was the only lager beer brewery in the State until the year 1882 when the Fredericksburg Brewery, San Jose, added a lager beer plant. 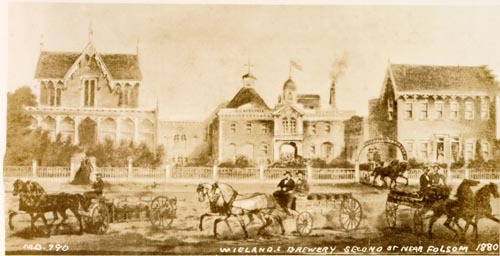 San Francisco’s National Brewery and Philadelphia (Wieland) Brewery followed suit. 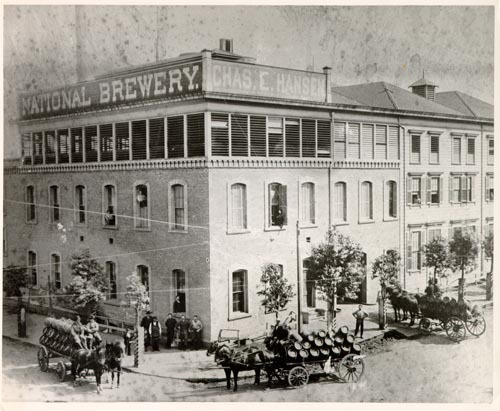 All three outlasted the ill-fated Boca Brewery, which was destroyed by fire in January 1893. Cheers to the East Coast’s counterpart Cream Ale. “This establishment is conducted on the system of the Eastern lager-beer breweries, and is provided with extensive ice-banked vaults, for producing the effect of slow fermentation”. These beers were extremely popular for a reason! Picked up some of this today at Whole Foods, excellent beer with nice combination of crispness and complexity. Glad to see you guys are doing a lager now. I really enjoy lagers before dinner or as an everyday beer. For micros in the US, the focus seems to be on ales and other darker beers. In Europe you find excellent lagers everywhere, but in the US it is hit or miss. I am also a fan the Summer Beer.